Back in the annals of time, in August 2014, Kneel Downe did something very few authors do in their lifetimes - he released his notebook. His VirulentBlurb universe was already well established in the mind’s eye of his readers but so much of Kneel’s writing didn't quite fit or wasn't related to his universe. Instead there were streams of consciousness or single tweets, not necessarily the seeds from which new worlds would grow but still glorious writing, and they were collected into a book called SPORADIC and released as a bit of fun. What Kneel wasn't expecting from this was the reaction of his fanbase, which was rabid with positivity, and the critical acclaim that this madness garnered. SPORADIC was just Kneel doing what Kneel does – sharing with the world. He never meant for it to be the work of art it became and Kneel has been humbled and honoured by how well it was received. This time however, it’s a little different. This time there are definite fragments of the VirulentBlurb hidden within the pages and these fragments matter. They are the spores of contagion. They fill holes and gaps whilst creating others. They speak directly to the history and the future of the VirulentBlurb and add a spark of colour that will forever change the pattern in the weave. 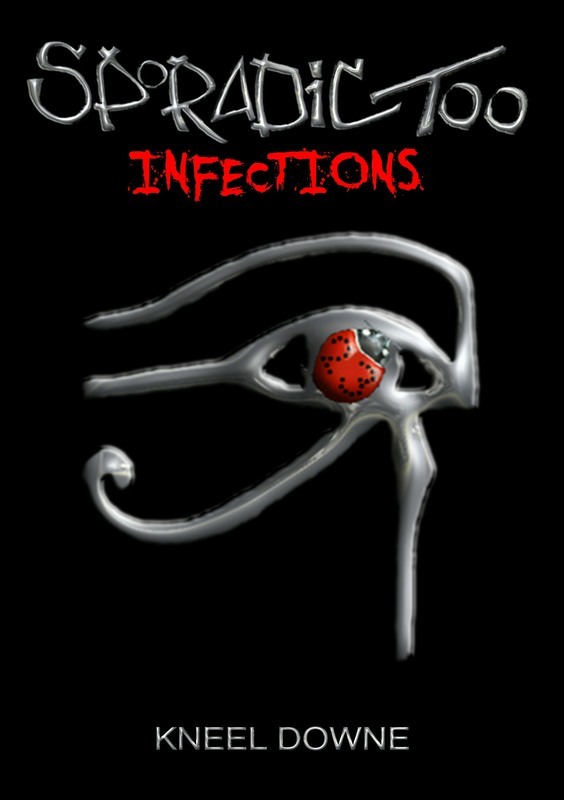 Ladies and Gentlemen, Blurbians all, Kneel Downe presents Sporadic Too: Infections. 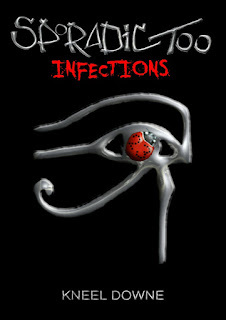 SPORADIC TOO: Infections will be released in Paperback on LULU and on Kindle on Amazon with the paperback coming soon.